As you can see from the pictures, these two closely related plants have similar inflorescences. Both species can grow as much as 5 or 6 feet tall. 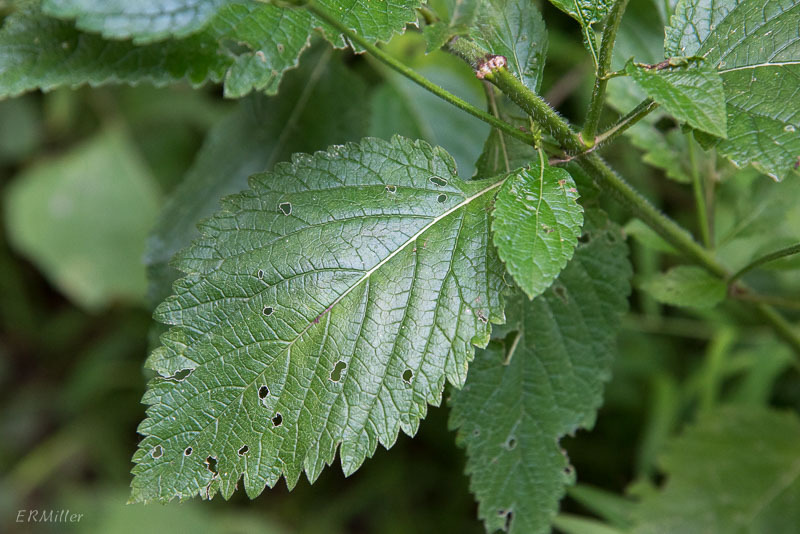 Authorities vary on this; I’ve seen white vervain at 5 feet and blue vervain at 4 feet. 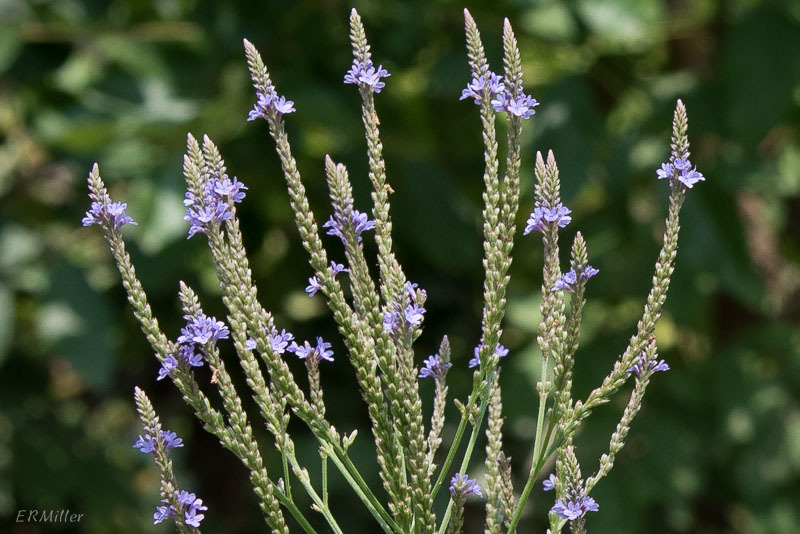 Blue vervain is a plant of wet places (another common name for it is swamp vervain), and is found in every state of the US except Alaska and Hawaii, and almost every province of Canada. 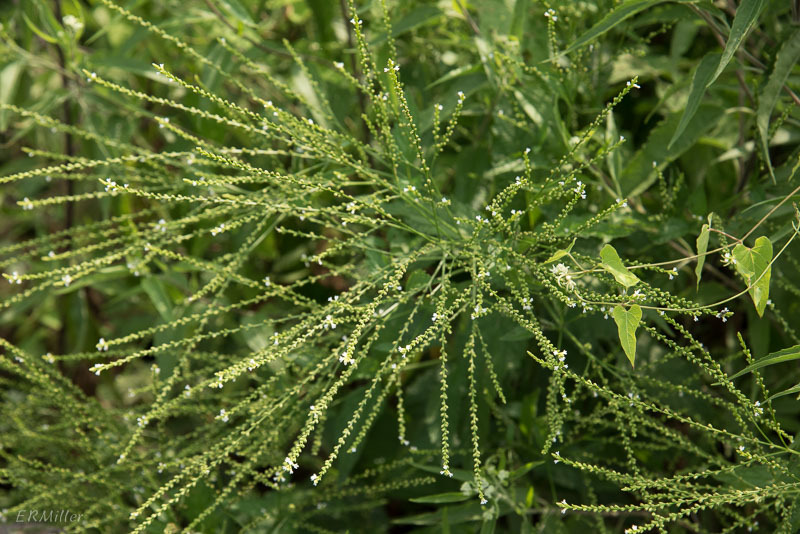 It’s considered weedy by some authorities. 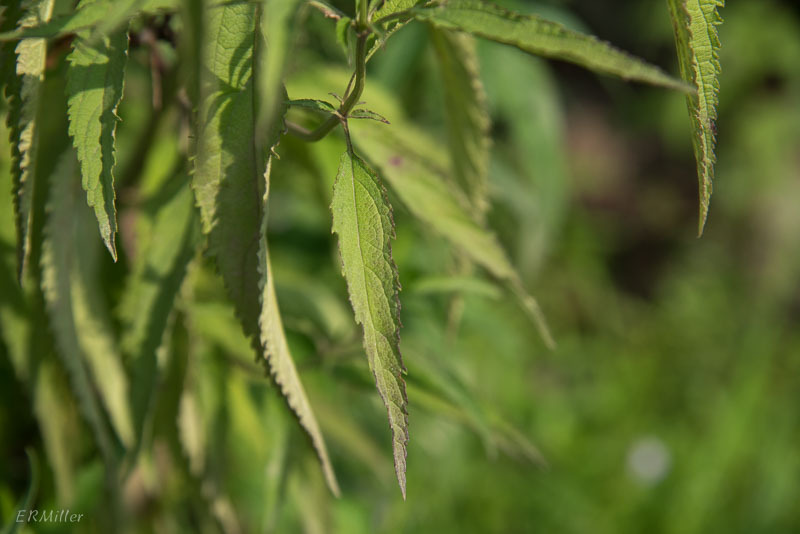 …while the leaves of white vervain are more oval. 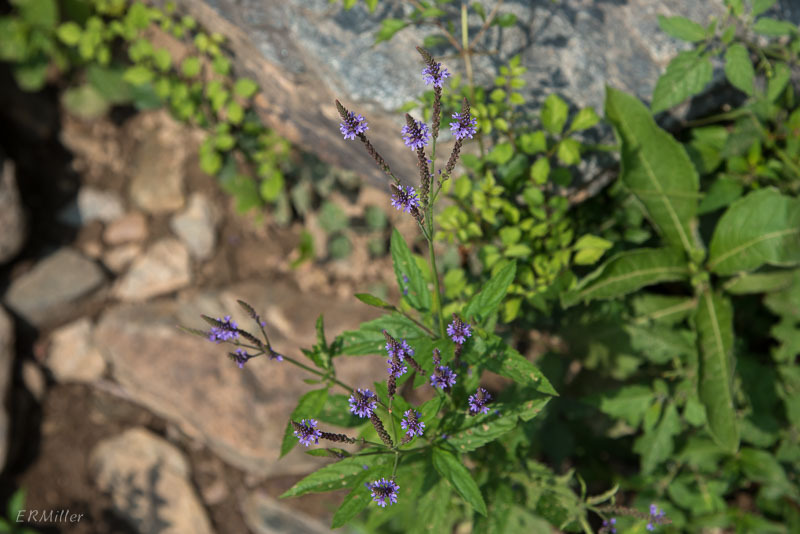 You’ll find white vervain in drier situations, usually in more shade; this small specimen was right along the Billy Goat C trail. It was almost done blooming, so you can’t quite see the diminutive flowers*. 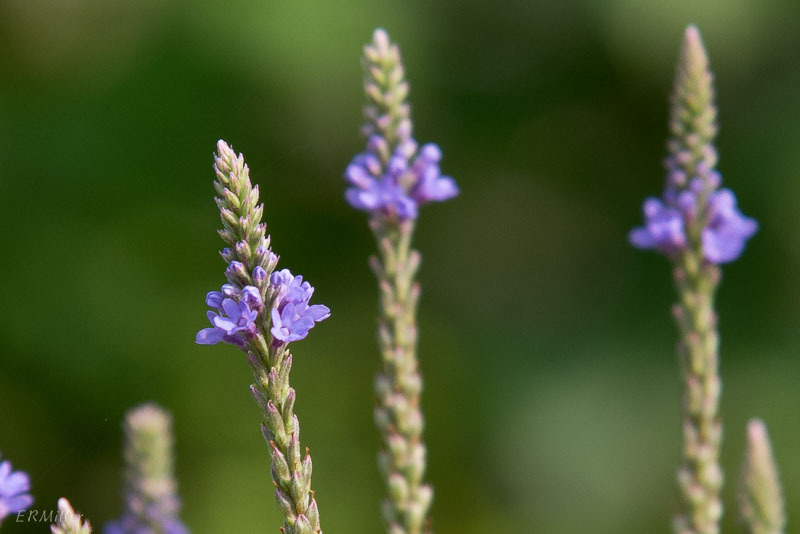 White vervain isn’t as widespread as blue; it can be found from the Great Plains eastward, but not in the West. 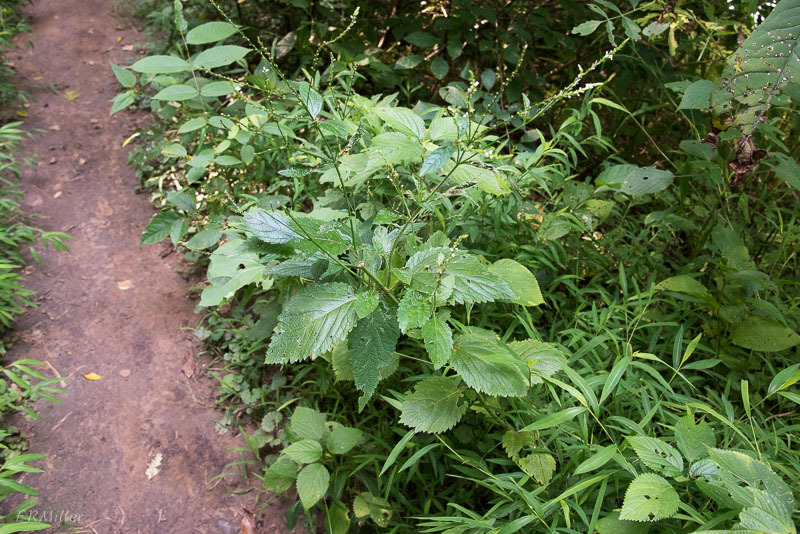 Kentucky considers it possibly weedy, while Maine considers it possibly extirpated. There are almost 40 native species of Verbena in the US, with widely varying distribution, and about 8 alien species. Of the native species, 7 occur in the mid-Atlantic Piedmont. One of these, Verbena x engelmannii, appears to be a naturally-occurring cross between V. hastata and V. urticifolia. It’s described as having bluish-purple flowers with egg-shaped leaves**. 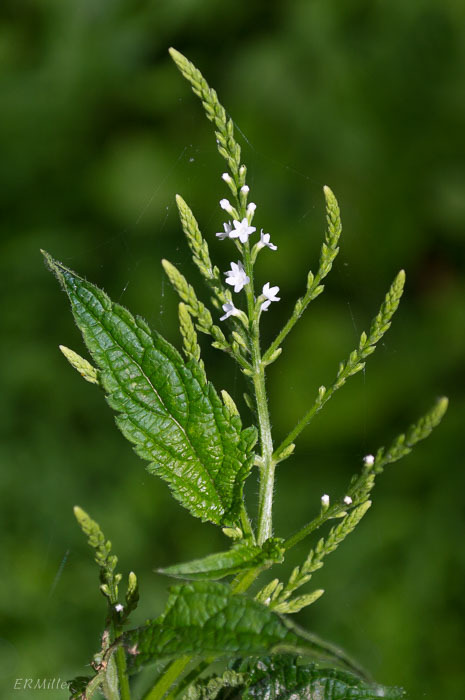 This entry was posted in Uncategorized and tagged verbena, Verbenaceae, vervain by elizabeth. Bookmark the permalink.